Week Four began the bye week schedule in the 2009 NFL season, and many of my recommendations to cover for players on the Panthers, Eagles, Falcons and Cardinals turned out well. As we approach Week Five of the NFL season, there will be a lot of rosters missing key players again. This week, the Bears, Packers, Saints and Chargers are all taking a week away. That means there will be plenty of owners looking to fill key positions, especially at quarterback. Let's take a look at some rentals (and some potential keepers) to replace players missing action this week. Last week I told you about Garrard, who is now owned by 69 percent of Yahoo leagues. He backed my faith by putting up 323 yards and three touchdowns against Tennessee. If he's on waivers in your league, he's worth picking up and keeping. Hill and Sanchez are interesting plays because of the Christmas presents they both received on Wednesday. Hill's 49ers host the Atlanta Falcons, coming off their bye week, and the amount of action seen by top pick Michael Crabtree in this week's game is doubtful but Hill's a consistent passer. The emergence of Vernon Davis makes him a quality rental this week if you're desperate. Sanchez has been turnover prone, and his offensive line hasn't helped him out as much as you'd like, but he's playing at a Miami team that was wrecked by Peyton Manning a couple weeks ago and they just added Braylon Edwards to their offense. If he can avoid throwing an interception, Sanchez might be a solid pick this week. He's owned by 49 percent of Yahoo leagues. Buckhalter, Bradshaw and Choice are all owned by less than 50 percent of Yahoo leagues and should play a big role in their team's games this coming weekend. Buckhalter and Bradshaw have both run for more yards than Grant so far this year, and will be in running-dominated game plans. The Broncos host the Patriots and the Giants, with a banged up Eli Manning, host the Oakland Raiders. Choice is at Kansas City, and both Felix Jones and Marian Barber are injury concerns. He's been good, should see most of the carries, and is playing a bad defense. All three of these backs could score solid fantasy points this week. Britt is owned by only 17 percent of Yahoo leagues and has put up better numbers so far than Jennings, DeSean Jackson and Chad Ochocinco. With Dwight Freeney still banged up, and Tennessee desperately needing a win, Britt might be a good bet to get the ball this week. I told you about Garcon last week, and he continues to impress. Still owned in just 62 percent of Yahoo leagues, and playing a Tennessee unit that's had issues defending the pass, he could find the end zone again. And Crayton, like Choice, is a safe bet against a terrible Kansas City team. Tony Romo still has doubters to prove wrong, and including Crayton would be wise. Lewis is a big, younger target in Jacksonville who plays at a Seattle team still struggling with health issues. Pettitgrew is a good looking rookie in Detroit who's growing into more favor with Matthew Stafford every week. The Lions host Pittsburgh this week, and Daunte Culpepper might be under center, so he could find the end zone for the first time. Both Seattle and Pittsburgh have allowed decent games to opposing tight ends, so watch these two this week. 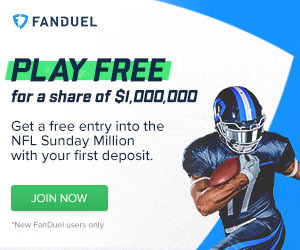 For up-to-the-minute news and advice, sign up for Top Fantasy Football's Dominator Service.